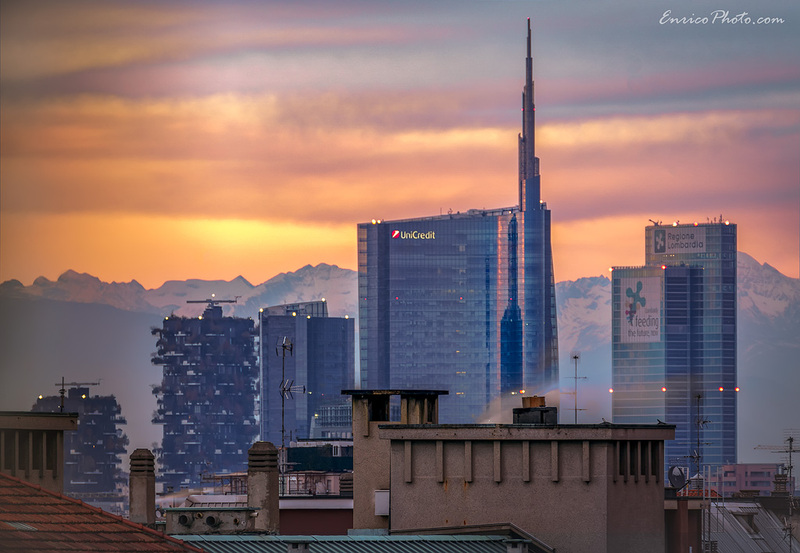 Thanks to its spire, the UniCredit Tower is the tallest building in Italy (231 metres). It is located in Milan - my hometown - and it was completed in 2011. More than by the building itself, I was impressed by how well I could see the mountains in the background. I must admit that I impatiently waited for sunset to warm up the scene, keeping my fingers crossed for visibility not to get any worse. Luckily, it did not. Call me lazy, it is sort of a tradition for me to try to find a composition from whatever apartment, house or hotel I happen to spend at least one night. In this particular case, I took the shot from the balcony of an apartment I rented when visiting Milano last week. As soon as it got dark and the tower was lit up, I took a second, long exposure. While I am not at all a fan of black skies, I do still like the cold mood of the scene. I am not saying the two photos above are particularly good. What I am saying is that my habit not to snob compositions that can be captured from very accessible places helped me understand how photography is for everybody. Sometimes we assume no good pictures can be taken without hiking like crazy or going somewhere very remote. Well, it is simply not true. As a second reason, I find it challenging to try to find some beauty in things or scenes that most people view as dull, or even ugly. 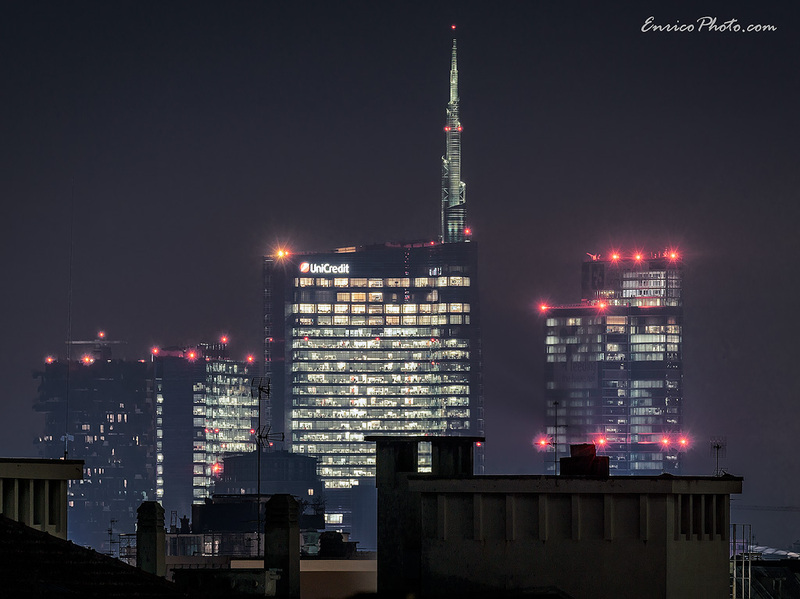 1) Another cityscape I captured in Milan last year (many people find the buildings in there ugly). 2) My most successful picture so far of the Brenta Dolomites (in terms of print sales and editor's picks, which was lazily taken from the balcony of a hotel).